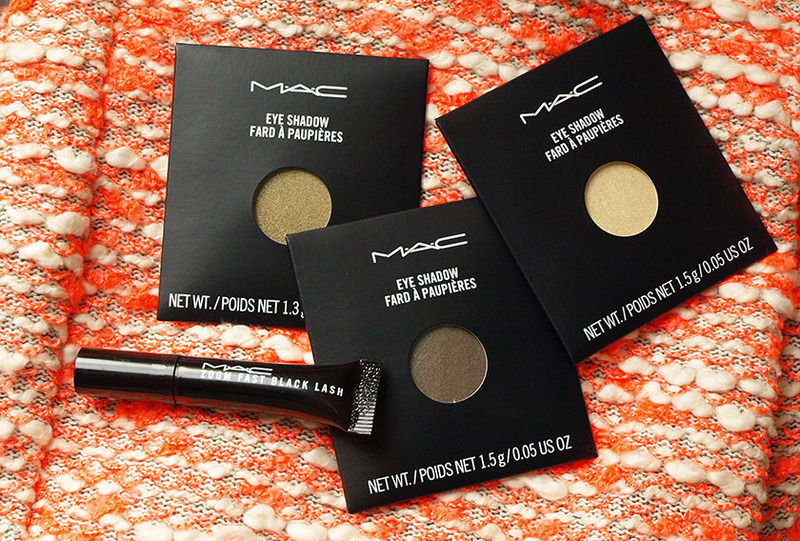 Just like I mentioned in my recent MAC post, I adore the formula of MAC eye shadows. 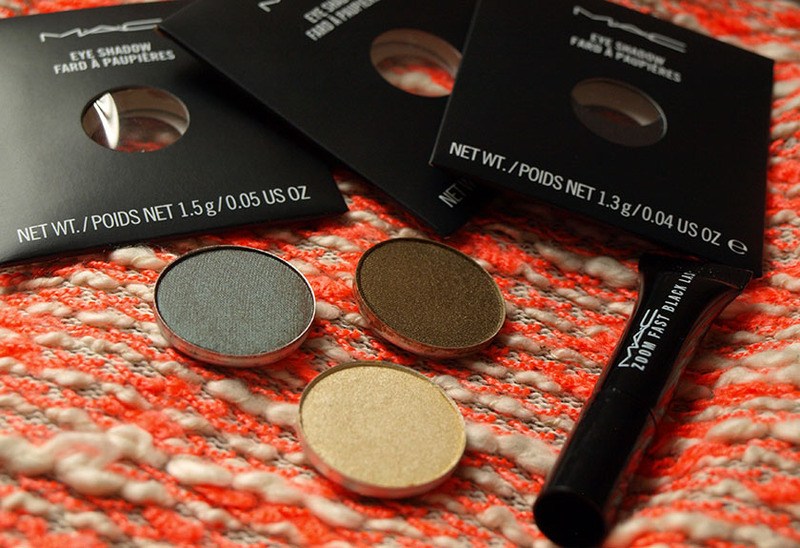 They are super pigmented, creamy and long lasting. I totally get the hype around them and I can't wait to have a bigger selection. 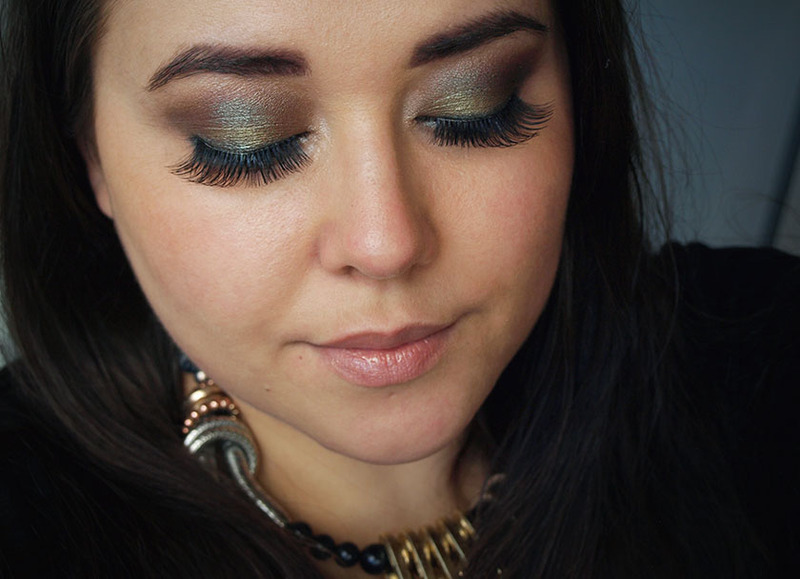 The look I created with the new colours is quite dramatic, but you can easily tone it down by using Club in the outer corners, instead of blending it out in the crease. I wanted to get the most out of Club, so I used it in two different ways. 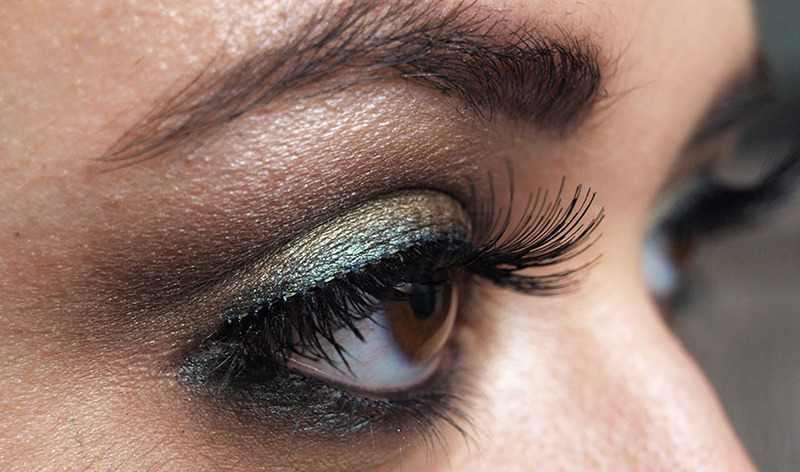 First, I applied Sumptuous Olive allover the lid and added a thick black line along the top lash line, using a soft pencil by Barry M. I blended it out slightly and applied Club on top of it, creating an intense green colour. I love how 'Club' changes when it is applied on top of a black pencil - it looks more green and very unusual. 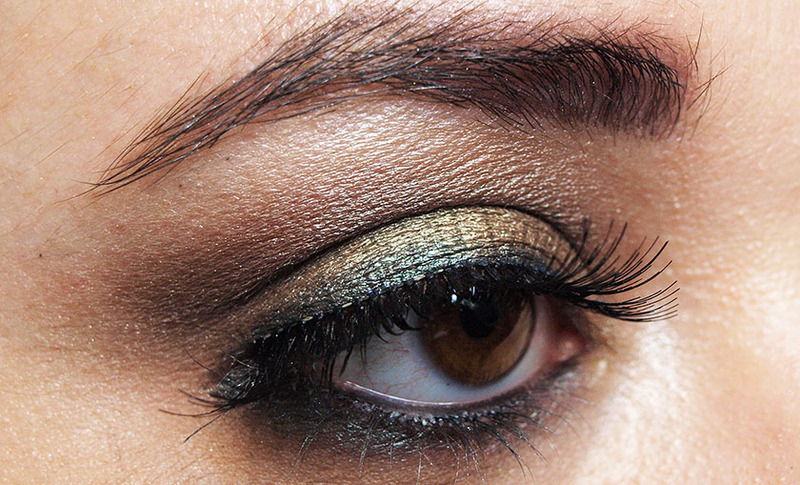 I also applied Club in the crease and along the bottom lash line and blended it out with a hint of Sumptuous Olive. 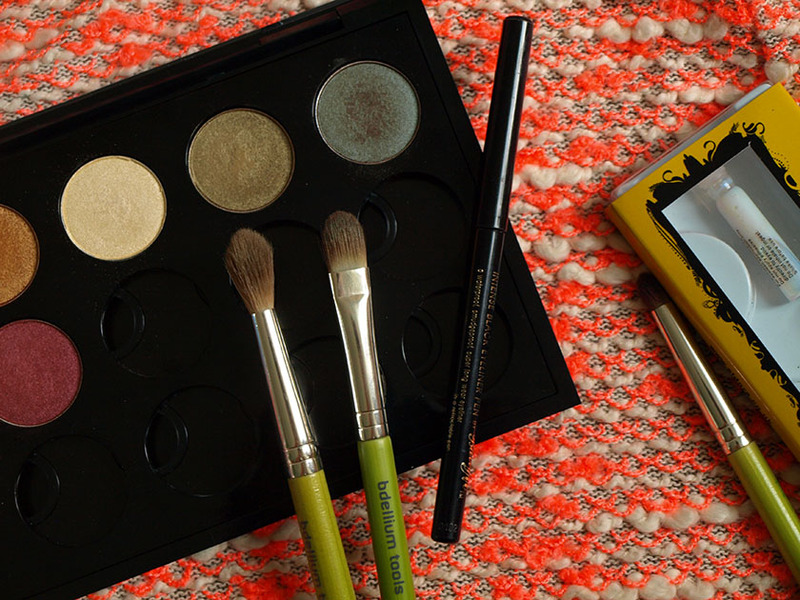 To make my eyes look brighter, I used Nylon in the inner corners and under the brow bones. 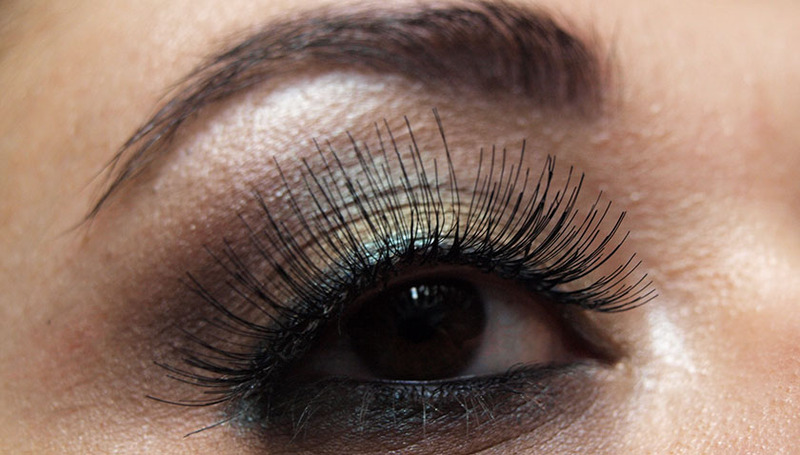 I couldn't forget about mascara and falsies and this time I used the MAC Zoom Fast Black Lash and Eldora H105 lashes. Et voila! 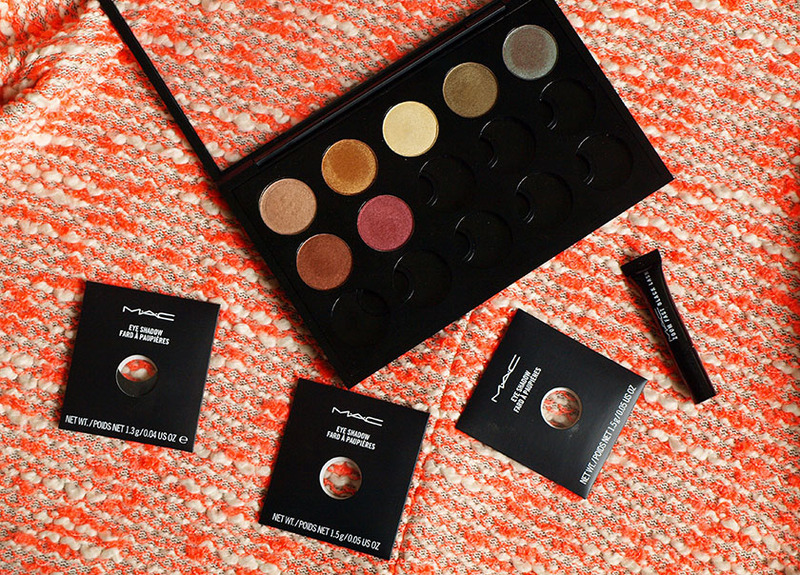 I adore this look and I think it is perfect for brown eyes. 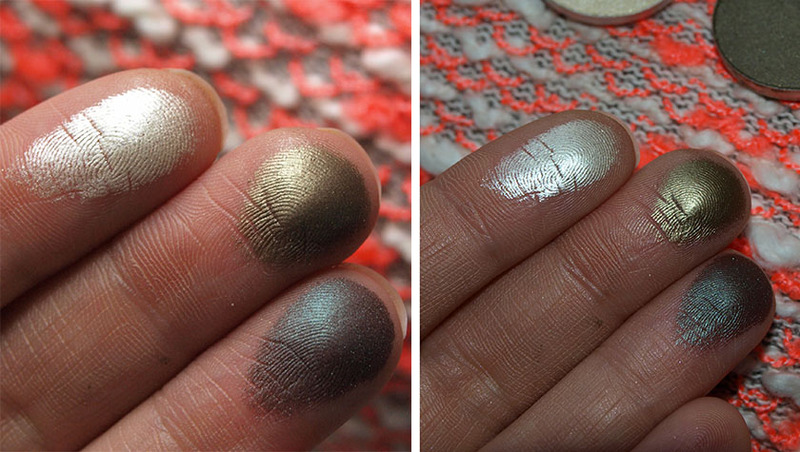 I am very pleased with all the new MAC shades I got, especially Sumptuous Olive. It is a gorgeous olive green colour with the most beautiful golden sheen and I would definitely recommend picking it up. 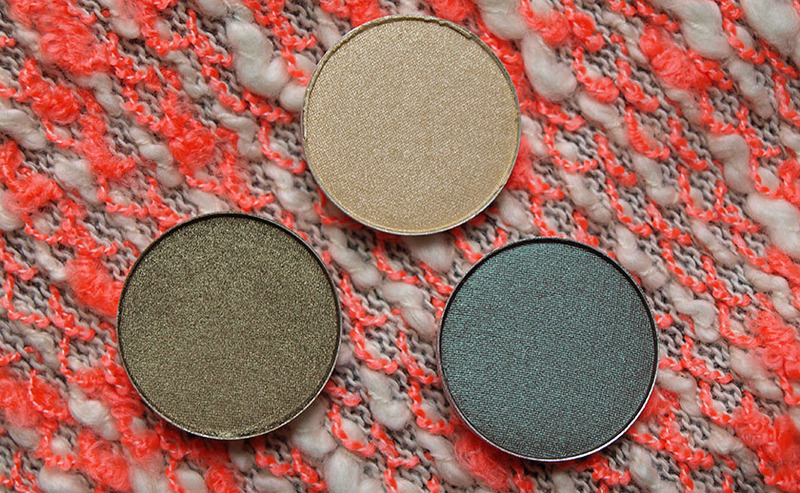 Club is a colour you will either love or hate - it has a duochrome effect, with tones of brown, green and teal. It is very unique and you can use it on top of different colour pencils, depending on the shade you want to achieve. As you can see on the swatches, it looks slightly brown on it's own, but totally green on top of a black pencil. Amazing! Nylon is a pale gold colour with a frost finish and it is perfect as a highlight. What do you think about my picks? Would you wear this look?